A truly elevated living experience encompasses both inside your home and around the community. 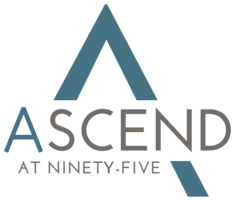 Ascend at 95 delivers thoughtfully considered amenity spaces for you to take advantage of all year long. Outside, the yoga garden, refreshing pool and summer kitchen make it easy to enjoy each sunny day. Inside, the resident lounge, business center and twenty-four-hour fitness center allow you to do everything from entertaining guests to working from home. Open-concept design, hardwood-style flooring and your new favorite kitchen—the features available in each one, two and three bedroom apartment at Ascend at 95 present a comfortable approach to livable luxury. Along with quality finishes such as stainless steel appliances and lustrous stone countertops, offerings like in-home washer and dryer sets and an abundance closet space balance the sophistication with plenty of practicality. Raise your expectations for West Melbourne, FL living at Ascend at 95. Pet policy: We welcome up to 2 pets per apartment home. Breed restrictions apply. Weight limit is 80lbs. There is a one-time non-refundable fee of $350 for the one pet and $550 for two pets. Monthly pet rent of $15 per pet. Please call for complete pet policy information. Parking Comment: Parking availability in designated spots only. Please call for complete details.